ABOUT: This is an introductory gymnastic class. Basic gymnastic language and the events are introduced in this class. 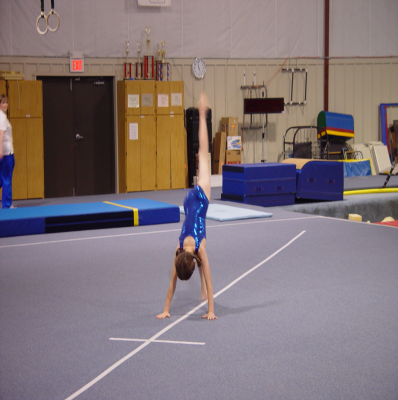 Balance Beam, Uneven Bars, Vault, Tumbling. ABOUT: For the gymnast that wants to train but has limited time. The gymnast will be working on skills and routines on the four Olympic Events: Balance Beam, Uneven Bars, Vault, and Tumbling. This class will have a once a year in-house meet.